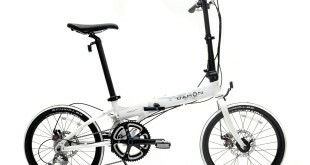 Yes, Dahon have made better folding bikes in the past - however, have they done so for less money? I'm not sure and that's totally up for debate. A gorgeous bike that performs well on every level. 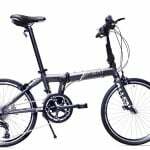 The most notable feature of the Dahon Vitesse D8 is its reasonable price tag. 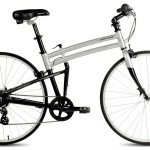 This is not an especially expensive bike; yet it compares well to other folding bikes that are pricier. Less expensive folding bikes are sometimes heavier, due to the necessity for folding bikes to have strong frames. 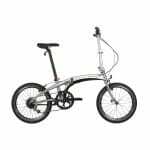 Because of the alloy frame the Dahon Vitesse D8 is one of the more affordable lightweight folding bikes, weighing in at 11.2 kg (24.7 lbs). It adjusts out easily to accommodate riders over six feet and the riding position, even when fully extended, is relatively comfortable. It bares many similarities with the slightly newer Dahon Vitesse i7 folding bike, however this beauty is still on par in many respects. The Dahon Vitesse D8 is a reasonably priced bike with excellent specifications, perfect for new and seasoned riders alike - definitely good value for the money! 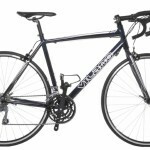 The bike’s breaks, gears, lights, and running gear are all of good, durable and reliable quality and it’s a smooth shifter, with an 8-speed system. One would expect to get consistent service from these components and my local repair shop reports that this is, indeed, the case in their experience! 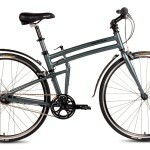 This bike frame folds once in the middle; meaning that folding and un-folding is quick and simple. (Most people when first confronted with a folded Brompton will think they have encountered an intelligence test.) This also means that there are less moving parts to maintain. The hinges and clips are durable and well designed. On the down side, if you intend to use this bike in a mixed commute scenario, (in combination with public or private transportation) it won’t fold as small as more complicated bikes like the Brompton. However, if you need a folding bike because of limited storage space at home or you want to take your bike inside your workplace during the day, or in the trunk/boot of your car, then the Dahon Vitesse D8 is going to be quite small enough. The slight forward rake to the steering stem, combined with the smaller wheels, makes the steering feel a little over re-active, which is not uncommon for a folding bike. Having said that, I would have no hesitation in taking this out for a 20 mile ride in almost any terrain. t This tendency of small bikes to be a little over reactive in the steering is most often felt at slow speeds and in tight turns. One learns to adjust. It’s hard not to like the bike pump built into the seat stem; its a nice piece of engineering! I also like the fact that both the seat and handle bars are fully adjustable. It is surprising that the rear light is battery powered, with a connection to the dynamo/alternator as an optional extra. (The front light is already hard wired.) I was unable to see the optional aluminum front rack attachment but I really like that the option is offered, and would probably have included it, if I could have. 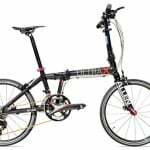 All in all, the Dahon Vitesse D8 is a very ride-able bike with many features that make it an attractive option if you are in the market for a folding bike. 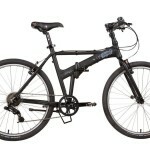 At this price, there is good reason that the Dahon Vitesse D8 is given five stars by most owners. For the money, you can’t go wrong here! 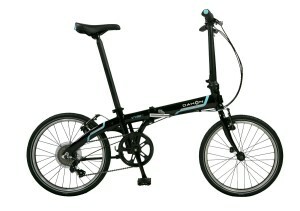 Discover my other Dahon folding bike reviews today.